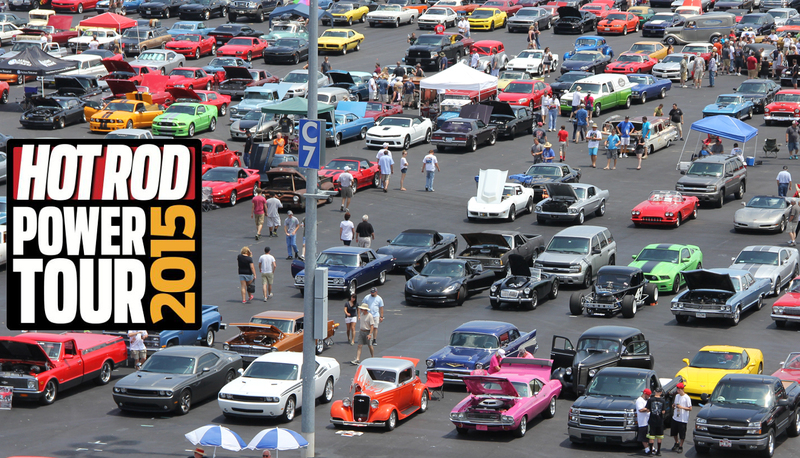 The 21st Hot Rod Power Tour has come and gone and there is no other event quite like the Hot Rod Power Tour. Spanning over 1,000 miles, the Power Tour has 7 shows, in 7 different cities, in 7 days! Starting in Madison, Wisconsin, over 5,000 cars showed up to kick off the tour with a bang! The sky threatened to open up at many of the stops, but didn’t really come through until Gulfport, Mississippi to slow down the fun. A huge thanks to all the guys at Kicker, Mother’s Wax and Polish, Nate at Tremec for teaching all of us proper burnout technique, and many, many more! See you next year, and be sure to check out the more pics from the event here! XS Power is hitting the road for the 21st Hot Rod Power Tour! This year, the world’s largest road trip starts in Madison, Wisconsin on June 6th, and winds down through the country ending in Baton Rouge, Louisiana on June 13th. XS Power will be cruising with our friends from Kicker and Mothers to join the thousands of cars and dozens of manufacturers along the 7 city tour. What are the HOT ROD Power Tour dates and cities for 2015? *Saturday, June 13th, is not open to the general public. The venue will only open for the Hot Rod Power Tour Long Hauler ceremony. Be sure the follow XS Power on Facebook, Instagram, and Twitter. Tag us at #xspower.